Here at Marquee Vision, one of the things that sets us apart from other marquee hire companies is our 3m eave height capability. 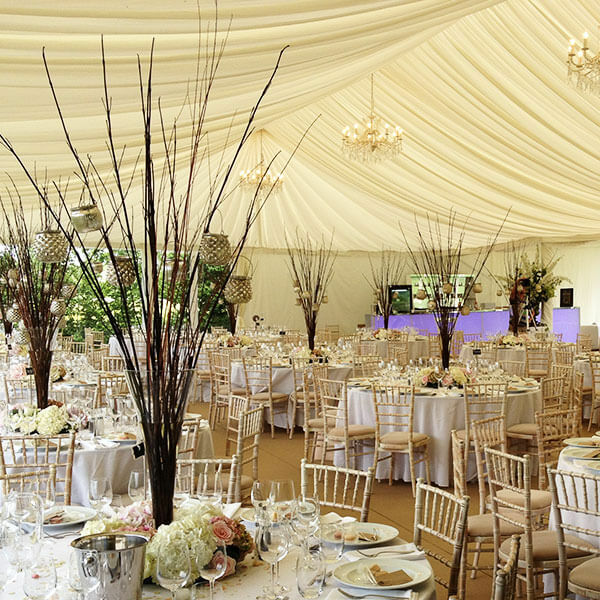 Normal marquees come in 3m (10ft) bays and with a 2.3m (7.5ft) eave height. For us, 12m wide marquee and above come with the 3m (10ft) eave height as standard, they also come in 5m bays instead of 3m. Even our smaller spans of 3m, 4m, 5m, 6m and 9m can be extended up to 3m if required. We are often asked why a 3m eave height is so important, after all as long as the floor space is the same it doesn’t matter, right? WRONG! I admit it isn’t so easy to put into words exactly why having a higher eave height improves marquees, however the general impression and feedback we get when we install them is amazing. The guests at the wedding or party are always blown away and we often get comments like ‘Wow, it just doesn’t feel like a marquee!’. I quite often use the analogy of houses to help explain it. Think about all the grand old manor houses and country estates we have in this country. When you walk into these places the rooms are normally very grand and impressive and they ALL have very high ceilings. The higher the ceiling, the more impressive the room. 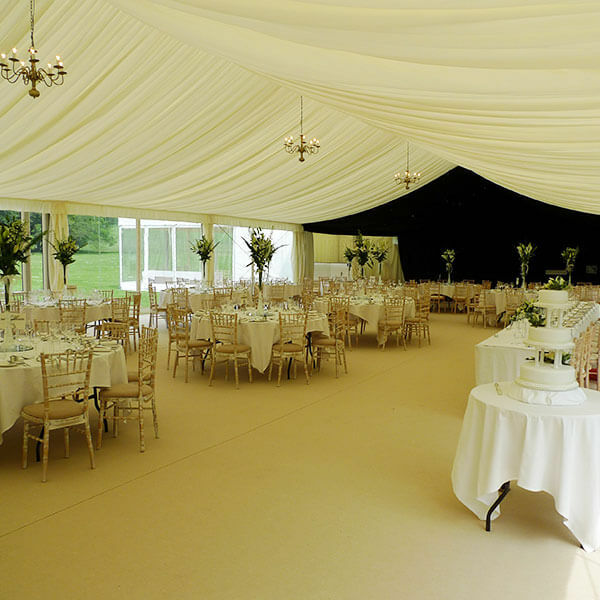 It’s the same with marquees, the higher the eave height, the more impressive the marquee. This is a 12m x 30m marquee, it comes with 5m bays which means you only have 5 pillars along the window side, you also get huge 5m x 3m window panels which really make the most of any view. With a normal 3m bay, 2.3m eave structure you would have 9 pillars which is nearly twice as many and you would not see any of the skyline which really would spoil the view. The windows are less than half the size! Here is another example of a site with amazing scenery. The red line I have plotted on the picture shows where our competitor’s eave heights would finish. Suddenly it’s not much of a view is it!? With the 3m eave height all guests can see out of the marquee from wherever they are standing, not just at the windows. 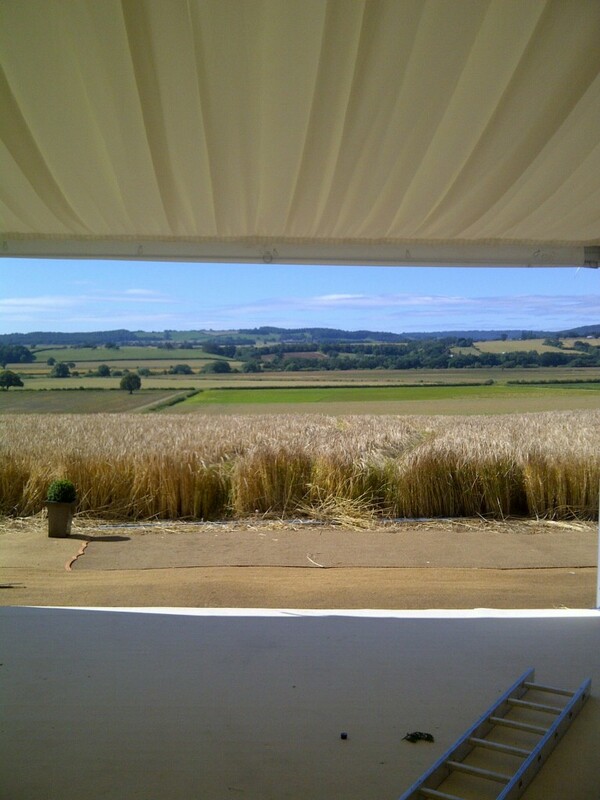 The same applies if you are looking out onto an impressive country house, so much more of the outside scenery is let in. Aside from aesthetics, a 3m eave height also offers practical advantages. For one it offers forklift access whether that is during installation or possibly the marquee is being used as temporary storage by a supermarket at Christmas for example. 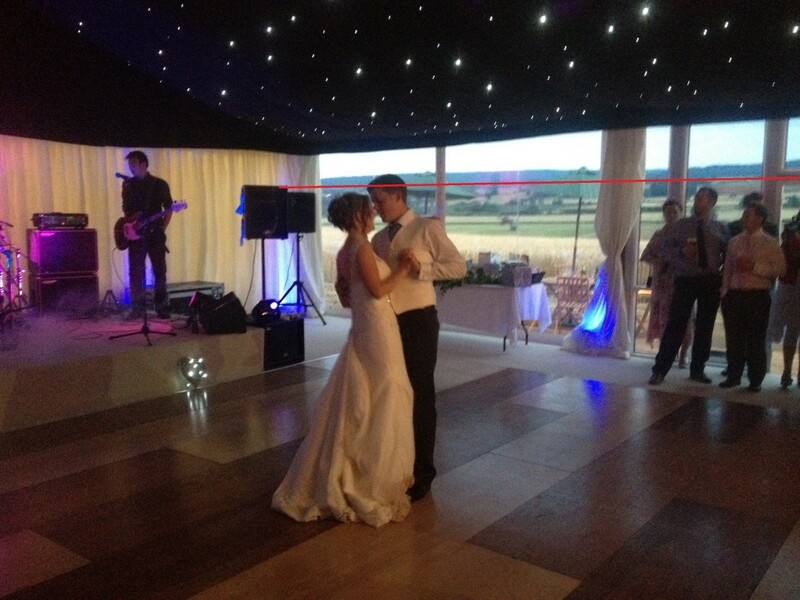 In the events industry the 3m eave height also offers extra height for stages, lighting rigs and flower arrangements. Additionally on a stifling summer’s day (they do happen in England occasionally!) the airflow is much better with a higher ceiling with the hot air rising. It just feels more light and airy inside! 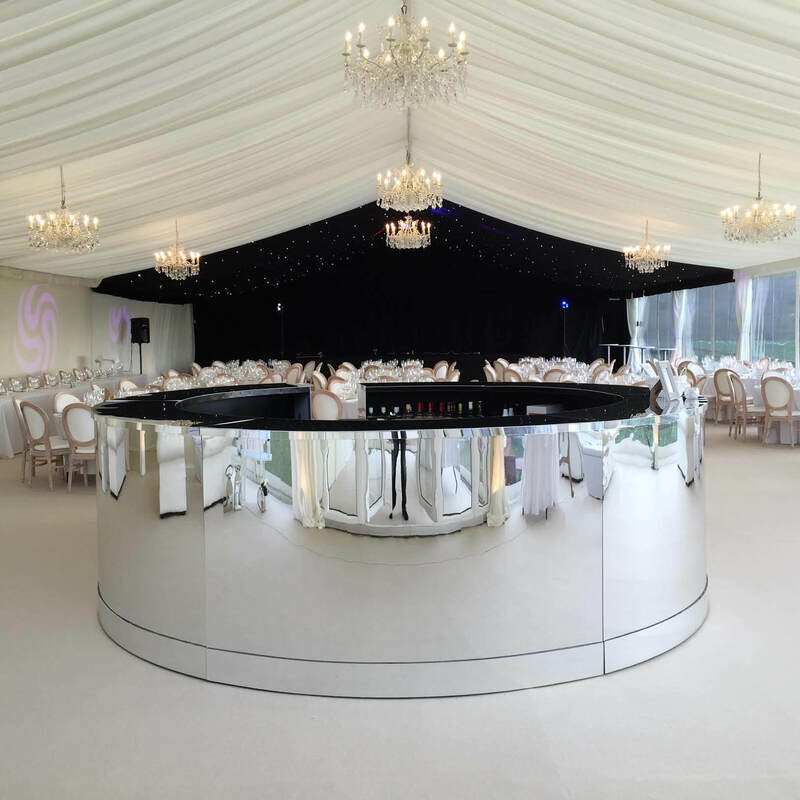 I hope that has gone some way to explaining why an extended eave height is superior, if you are still not convinced then feel free to contact us for a viewing opportunity on one of these exclusive marquees, you will not be disappointed!